A native of Springfield, Ginger enjoys working on important issues for clients in southwest Missouri, northwest Arkansas and beyond. Ginger started working at the firm as a summer associate after her first year of law school and joined the firm full-time after completing a clerkship with Supreme Court of Missouri Justice Ann Covington. Ginger represents clients in employment litigation, banking and financial services litigation, product liability claims, and construction litigation and arbitration. She has handled cases successfully at all stages of litigation, including arguing matters before the Supreme Court of Missouri. She has resolved multiple matters at the summary judgment stage, short of trial. 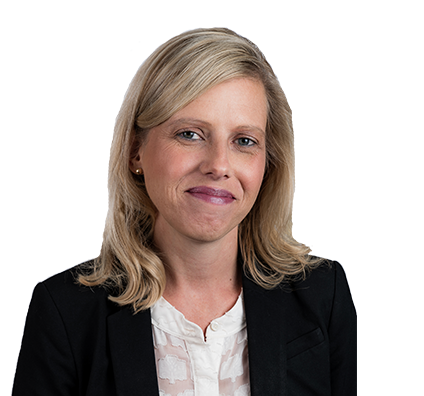 In addition to her litigation practice, Ginger counsels clients on day-to-day issues such as employment matters, governmental compliance, construction, real estate and general business affairs. Ginger has been honored for her pro bono work. She also is actively involved in her hometown community both inside and outside of the bar, serving in leadership positions for the American Red Cross of Southern Missouri and the Springfield Metropolitan Bar Association. Obtained summary judgment in favor of defendant on plaintiff’s claim of failure to provide reasonable accommodation for claimed service animal. Won summary judgment in favor of employer on employee’s claims for tortious interference and malicious prosecution. Won summary judgment in favor of defendant on plaintiff's American with Disabilities Act (ADA) claim on ground plaintiff was an independent contractor not covered by the ADA. Won summary judgment in favor of defendant on plaintiffs' personal injury claims on ground defendant lighting technician had no responsibility for falling light fixture. Secured defense verdict after four-day jury trial on plaintiff’s claims for nuisance, negligence and trespass from claimed pollution from neighboring business. Won defense verdict on plaintiff's claim of race discrimination in employment. Obtained reversal of judgment on appeal on ground trial court erred in not submitting issues to jury. Obtained affirmance on appeal of commission decision that employer properly terminated employee for misconduct in connection with work. Appointed by Supreme Court of Missouri to represent criminal defendant on petition for writ of habeas corpus and obtained release of prisoner after 17 years of imprisonment. Ginger serves on the board of the PTA of her son’s school. She also is a Sunday school teacher.